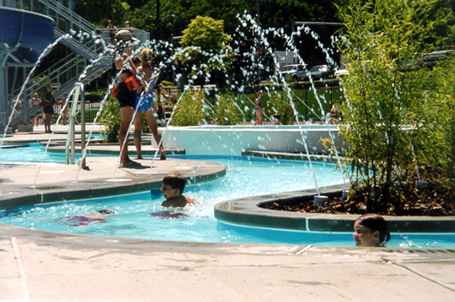 Counsilman-Hunsaker’s long-standing relationship with the City of Shrewsbury dates back to 1972 when they participated in the design process of the original Shrewsbury Municipal Pool. In 1997, Counsilman-Hunsaker was commissioned to develop a variety of design options for renovating and replacing the 25-year-old facility. Adjacent to the existing pool is a new outdoor 25-yard competitive pool with recessed stairs and one-meter diving board.